(CNN) In every generation we depend on a few people of supreme decency and intelligence to hold the world together. In Jewish tradition, there are at all times 36 tzadikim, righteous people, without whom the world would perish. Kofi Annan was one of the righteous people, a man of extraordinary intelligence, decency, warmth and joy of life. He helped to keep our world from blowing itself apart, or dividing mercilessly between the rich and the poor. 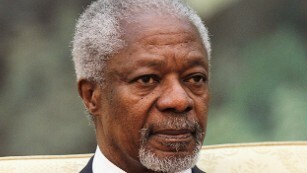 Kofi Annan brought the UN into the 21st century with a momentous two terms of office between 1997 and 2007. I was profoundly privileged to work for Kofi during that period, first as an adviser on an economic report, then as director of a commission at the World Health Organization, and then as his special adviser on the Millennium Development Goals (MDGs) for six years, 2001-2007. It is perhaps superfluous to say that watching and learning from Kofi greatly enriched my life; he did that for all of us. Kofi’s core idea was that our crowded, interconnected world requires economic justice, peace and human rights. He would often say that there could be no development without security, no security without development, and neither security nor development without human rights. He saw the need for the world to join together to deliver the end of poverty, the cessation of war and the protection of human dignity. He believed that the United Nations was the unique global institution that could support these immense ambitions, and he made it his life’s work to fashion a UN for our times. He inspired countless others, myself included, to devote ourselves to the work of the United Nations. Kofi opened up the doors of the UN to the people of the world. While the UN Charter appropriately begins with the words “We the Peoples,” the members of the UN are in fact the world’s governments. 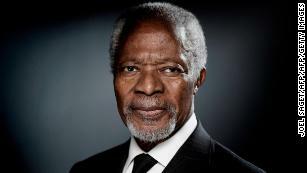 Kofi made sure that people all over the world would regard the UN as theirs, not merely their governments’. Most poignantly, urgently and successfully, he put the world’s focus on the least among us, as the world’s great moral traditions bid us to do. Kofi’s greatest achievement for the poor was to mobilize global energies to fight poverty, hunger and disease through the Millennium Development Goals (MDGs), which Kofi put forward to the world’s governments at the UN Millennium Summit in 2000. With the persuasive powers of the world’s consummate diplomat, Kofi signed up the world to this great mission. Extreme poverty declined rapidly during the MDG period, from 37% in the 1990 baseline year to below 10% at the MDG finish line in 2015. Because of this progress, the world’s governments had the confidence to set the goal of ending extreme poverty by 2030 as the first of the 17 Sustainable Development Goals launched in 2015. Kofi’s legacy continues in this ongoing global mobilization to end the scourge of extreme deprivation. Kofi made an inspiring call for the new Global Fund in Abuja, Nigeria, in April 2001. Just a few weeks later — a blink of the eye in the usual workings of public policy — I watched the TV in rapt attention and amazement as Kofi joined George W. Bush in the White House Rose Garden for the President’s announcement that the US would become the first country to join the new Global Fund. To date, the Global Fund and its partners have saved more than 20 million lives. Yet Kofi’s second term would also face the nightmare of the US war on Iraq. After 9/11, the Bush White House immediately took aim at Iraq’s leader, Saddam Hussein. The US beat the drums of war with Iraq ever more loudly in 2002. Kofi implored Saddam to let the UN arms inspectors do their work to check whether the regime had abandoned weapons of mass destruction and implored the US administration to give the inspectors time. Kofi strongly urged the US to seek the approval of the UN Security Council for any military action against Iraq, as required by the UN Charter. The US pressures on Kofi were nearly unbearable. The White House was determined to overthrow Saddam, no matter the evidence or lack thereof, and irrespective of the UN Security Council. The US decision to invade Iraq, which will surely be recorded as one of the greatest failures of US foreign policy, unleashed wave upon wave of violence, conflict, unrest and mass refugee movements across the Middle East and into Europe. Kofi paid a heavy personal price for standing up to the US empire. When he declared that the US action in Iraq was against international law, the response from prominent Republicans was swift and unrelenting, attacking Kofi professionally and trying to smear him personally by going after his son’s business dealings. The attacks reflected the US at its worst, Kofi at his bravest, and the UN at its most vulnerable, trying to maintain international law against a lawless White House. Kofi never retired. That’s why his death is so shocking. There was no physical or mental decline, no retreat or slowing down in old age. Kofi worked tirelessly around the world with his unmatched diplomatic skills to save lives, tamp down conflicts, avoid the spread of war. Kofi Annan inspired and protected us — all too often from our own worst instincts and flawed judgments. He taught us the inestimable value of diplomacy, the art of finding common ground by listening to and respecting others. There was no finer practitioner of such exalted decency in our time.